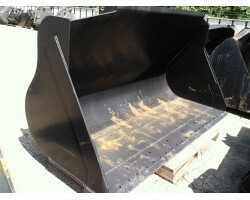 USED ESCO 42" BUCKET FOR 290/300/350 SIZE CLASS HYDRAULIC EXCAVATOR HAS SIDE PLATES WELDED ON FOR G.. 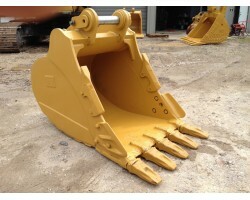 COMPLETE PAD SHELL KIT WITH SCRAPER BAR FOR DYNAPAC, BOMAG, INGERSOLL RAND COMPACTORS. 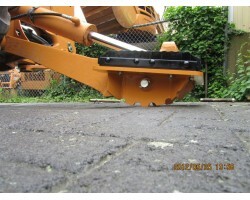 SETU..
Stabilizer pad assembly dual purpose flip over design for Case 580N rubber tire backhoe loader Fl..
CAT 30" Bucket for CAT 320 Series Excavator Includes side cutters, anti-clatter bushing, and 4&nb..
CAT 42" High Capacity Bucket for CAT 324, 325, 329 Excavators CB-Linkage Style Weights 2..
CAT 320 60" Excavator Bucket Teeth are like new with flat edge welded across for fine ..
NEW JRB 3.4 Cubic Yard Bucket Extended spill guard for more heaped capacity Lugged for Z-Bar t.. 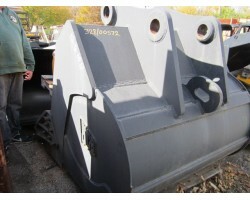 Manufactured by JRB 4.0 Cubic Yard Bucket Pilot holes drilled for bolt on edge Setup for Z-..
Good Used Complete Front Assembly for Komatsu PC200LC-8. 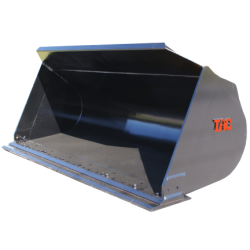 Arm 9' 6" length, inc..
NEW 60" C&P BUCKET FOR 330 SIZE EXCAVATOR EQUIPPED WITH ESCO SUPER V V43SYLTEETH AND ..
Stock Number: 000140 Call for a freight rate! 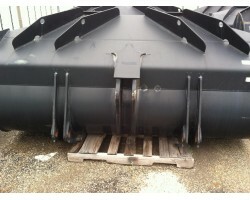 NEW 4 Finger Weld On Th..
Stock Number: 000145 CALL FOR A FREIGHT RATE! NEW 4 Finger Weld On Th..
NEW 4 Finger Weld On Thumb for 200 Size Class Excavators 4 - Tine..
Stock Number: 000142 CALL FOR A FREIGHT RATE! NEW 4 Finger Weld On Thumb for 25..
Stock Number: 000143 CALL FOR A FREIGHT RATE! NEW 4 Finger Weld On Thumb for 30..